Li Hongjun did not usually take selfies. But out in the orange grove, he was not in his usual state of mind. It was early February, and the lunar New Year was approaching. It’s considered good luck to set out a bowl of oranges during the Chinese holiday, so Li, figuring he could use some luck, decided to buy some for his restaurant, the Jade Tea Farmhouse, located on a dusty road in little-known Wuhua County, population 1.3 million, in Guangdong Province. Li drove to an orange grove owned by his aunt. As he wandered among the trees, his mind was preoccupied: In addition to the usual holiday stress, this would be his first New Year without either of his parents. His mother had died in 2012, after years of being ill with diabetes, and his father had died of a stroke just a few months ago. The hospital fees, along with losses from a thwarted business venture, had left Li deep in debt. Li was struck by the beauty of the fruits there on the trees—bright orange and green in the morning sunshine—and he decided to take a picture of them with his new phone. It was an iPhone 5s, used, from the United States. The touch screen on his previous phone, an HTC, had gone on the fritz, the signal fading in and out, so his nephew, a phone salesman a few hours away in Shenzhen, had given him the iPhone for free. This phone had a weird bug, though. Li had put his own SIM card into it, and phone calls and text messages worked fine. But every day, in the photo stream, strange pictures that he hadn’t taken would appear. Many of them featured a thin, bearded white man eating, drinking, and posing with friends. “He looked like he had a pretty good life,” Li said. Li guessed by the light color of his skin and hair that he lived in England. (Americans, he figured, were darker.) Photos of the man carrying a large camera suggested to Li that he might be a journalist. Standing in the grove, snapping away, Li was pleased with the first few images. On an impulse, he switched to reverse-camera mode and photographed his own face with the oranges as a background. They looked so ripe that he reached out to touch one, and held it in one hand while he took photos with the other. He thought about smiling or flashing a peace sign, but his mood was dark, and he couldn’t summon the energy. Li told me this story when I visited him at his restaurant in late September. It was a Friday afternoon, and the place was empty except for his wife and four children, ages 4 to 12, who live in rooms beneath the outdoor dining area. As we spoke, he poured green tea and chain smoked, offering me a cigarette every time he drew one for himself. 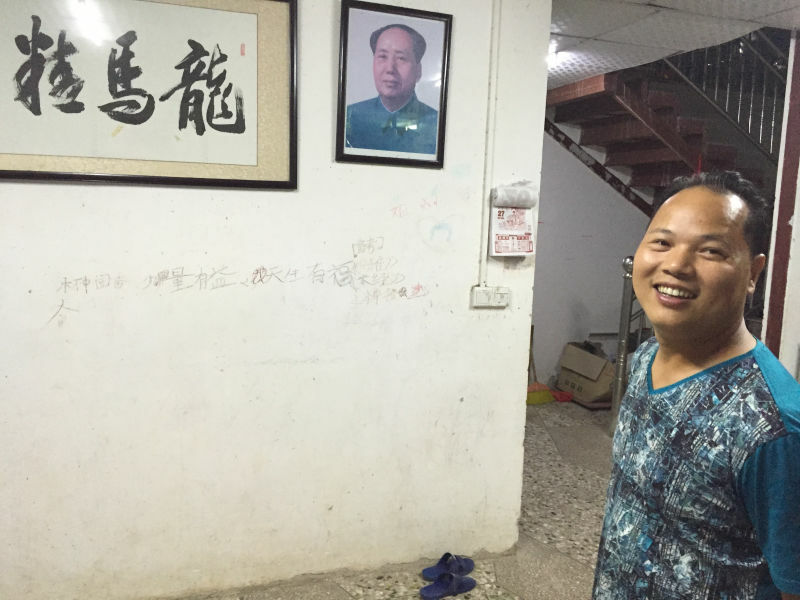 Li Hongjun gives a tour of his family’s living space underneath his restaurant. All Li knew at first was that a few days after the photo session in the grove, his phone stopped working. He wasn’t sure why. He took it to a cell phone store, and they explained that whoever controlled the original Apple account—it was second-hand, after all—had probably shut it down. The phone was a brick. He transferred his phone number onto an old Samsung, put the iPhone on a shelf, and forgot about it. On the morning of the second day of Spring Festival, Li was puttering around his restaurant when he got a call from his nephew, Li Jie, who lived nearby. His voice sounded excited—“like I’d won the lottery,” Li said. The nephew said that a friend of his, an active user of Weibo, China’s Twitter-like microblogging platform, had messaged him to say that Li’s photos were all over the Internet. Apparently an American writer had posted an article online about some pictures that had been appearing on his phone, including selfies taken by a man standing in front of an orange tree. That article had been picked up and translated by a popular Weibo blogger, who then called upon Chinese netizens to help track down the man they were calling “Orange Uncle” or “Orange Brother.” The friend, who had met Li previously, recognized him as the man in the photos. Li’s first response was panic that he might have taken some “private photos.” But when Li Jie showed him the news articles on his iPad, he was relieved to see the leaked pictures were mostly innocuous: photos of fireworks set off to celebrate his relative moving into a new house; shots taken by one of his daughters from the car window; and a professional portrait of a beautiful woman who, he was later told, was a Canadian singer named Avril Lavigne*. “She’s kind of my type,” Li said. Li and his nephew decided there would be no harm in engaging the American. At the suggestion of an employee from Sina, a Chinese Internet company that runs the most popular microblogging platform, they created a Weibo account to communicate with the writer, whose name was Matt and who, as Li would come to understand it, worked for an advertising company called BuzzFeed. Li had almost no experience with the Internet, and he relied on his nephew to set up the account—they chose the handle “Orange Brother Who Doesn’t Sell Oranges”—and send out the first message: “Hello everyone. [dizzy emoji] First of all, I don’t sell kumquats. My phone became a brick after it was given to me by a distant relative … [LOL emojis] Matt, you’re welcome to come to my home and try Meizhou’s local Hakka cuisine. [Airplane emojis] Everyone have a great New Year.” The post got more than 12,000 likes. Stopera, who had also set up a Weibo account at the urging of a Sina employee, asked when would be a good time to visit. After that, Li’s phone rang nonstop. Old friends wanted to re-connect. Customers came to his restaurant to meet him and take selfies together. A cooking show invited him up to Beijing to guest star in an episode. With the help of his nephew and two friends, Li began to plan for Stopera’s visit. Wuhua County, a largely rural area under the jurisdiction of Meizhou City, is one of the poorest counties in Guangdong Province. At first, Li considered taking Stopera to a more developed part of Meizhou—they didn’t know if he would want to stay in such a backwater—but they ultimately decided to show him how Li really lived. One friend designed a banner with the words “Welcome Matt” in English and Chinese. Another friend who owns a car dealership donated a Mercedes-Benz and a Buick to ferry them around from place to place. “We thought it would be better to use American cars than Japanese ones,” Li said. (He counted Mercedes as American.) Li himself drives a Toyota, but, like many Chinese people, does not have fond feelings toward Japan because of their role in World War II. If the person who had lost his phone had been Japanese, rather than American, he told me, he would not have invited him to China. Li explains the local way to eat raw fish: Dip it in oil, then add peanuts, peppers, and garlic, and put it all in your mouth in one giant bite. As the day of Stopera’s arrival approached, a half-dozen officials from the local government visited Li’s restaurant. They’d heard that Li would be having a visitor, and it looked like the visit would be getting some media coverage. They wanted to make sure that Li didn’t talk about any sensitive issues. Particularly, they were concerned about the restaurant situation. Jade Tea was not Li’s first restaurant. The previous year, he had opened a restaurant boat on a nearby river. It was a popular dining spot, but after the river flooded, the local government ordered Li to move the boat, citing safety issues. He had it lifted by crane and transported a kilometer to its a new location, in a marshy spot, where it became part of the structure of the newly opened Jade Tea. Li had threatened to take his grievances to the provincial government unless the local authorities compensated him for his losses. He recouped only a small portion of his investment, he said. Li knew from their Weibo exchanges that Stopera was funny, but he was surprised at how well they got along. Their communication was limited, since they had to speak through interpreters. But they were able to convey basic information about themselves. Li called Stopera by his real name, while Stopera called Li juzige, which is Mandarin for “Orange Brother.” Li said he was OK with this, though his friends at home usually call him by his name, Hongjun, or the nickname A-Jun. 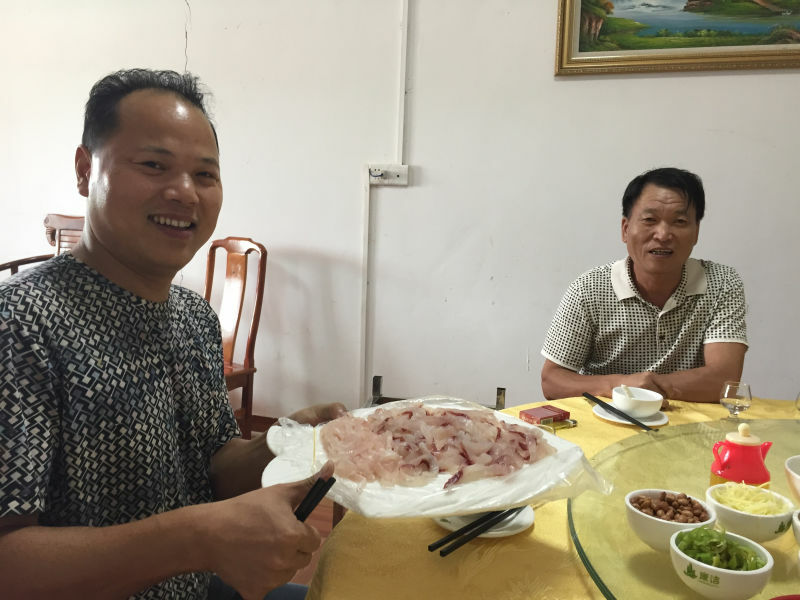 Over the next few days, Li introduced Stopera to some of his favorite Hakka dishes: sliced raw fish dipped in a spicy sauce, braised pork belly, beef soup, and snake meat. He decided not to serve dog meat, a local favorite. (He did serve it on my visit.) Li was excited to show Stopera the home of the legendary mid-20th century soccer star Lee Wai Tong, and the statue of the respected Communist general Ye Jianying, who helped lead the Communists during the Long March and later became Chairman of the Standing Committee of the National People’s Congress. Many nights culminated in drinking and KTV, a.k.a. karaoke, with Li singing his favorite songs—mostly ballads by Cantopop singers like Leslie Cheung or Jacky Cheung—while Stopera opted for Britney Spears and Michael Jackson. Li was impressed, if slightly overwhelmed, by his guest’s energy. Li considers himself an introvert, and was not as comfortable performing for the cameras as Stopera was. When Stopera suggested they film a music video in the airport, set to the song “I Really Like You,” by Carly Rae Jepsen, Li felt self-conscious. “A lot of people were watching,” he said. “It wasn’t fun.” But he went along with it. His favorite moments were when they were alone, away from the cameras. (Except their own: They shot the whole trip for a Buzzfeed documentary.) Li took Stopera to see his childhood home. He talked about his past: growing up in Wuhua, dropping out of middle school, going to Shenzhen for work, then moving back to his hometown in 2012 to take care of his ailing parents. Still, Li felt like he couldn’t tell Stopera the extent to which his life was in shambles. After losing his boat restaurant, he was buried in debt. His brother also owed money thanks to a gambling habit and was unable to work due to poor health—the same condition their father had—which made their relationship tense. He felt guilty that he couldn’t afford the medical operation that might have saved his father. “I didn’t do enough,” he said. The local government was planning to widen the road next to the restaurant, which threatened to disrupt business even further. And he still had four kids to put through school. All of this was on Li’s mind, but he couldn’t talk about it comfortably through a translator. He also worried that Stopera might think he was angling for money. They were having fun; he didn’t want to ruin the mood. The parking lot of Li’s restaurant, the Jade Tea Farmhouse. They would occasionally discuss politics, but not in much depth. Li said he likes Barack Obama because he’s a good speaker and doesn’t have to look at notes while he gives speeches. He likes Hillary Clinton because he remembers her from the Bill Clinton presidency, but he’s not sure that her election would be good for China. Li told Stopera that he liked President Xi Jinping because of his tough stance on corruption, and showed him the picture of Chairman Mao hanging on the wall in his home. In Beijing, when they visited Tiananmen Square, neither of them brought up the massacre of 1989. “Matt probably doesn’t know about it,” Li said. On their last night in Wuhua, when they were getting ready to split up, both Li and Matt cried. Li said the tears were brought on in part by their “natural brotherly feeling” and in part by thoughts about his parents. On a last-minute impulse, Li bought a ticket to Beijing, and they spent one last day together there, where they visited the Weibo offices. They finally said goodbye at the Beijing airport. 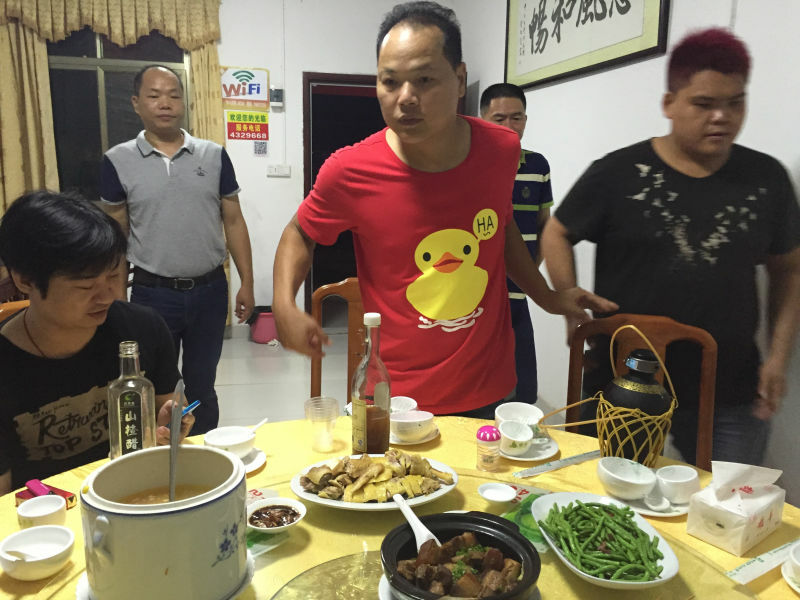 Back in Wuhua, Li was now a local celebrity. Everywhere he went—restaurants, soccer matches, hot springs—he was recognized. During my visit, a woman riding a scooter spotted him on the street, and pulled over to take a selfie with him. His notoriety helped bring customers to the restaurant, which by now had a giant sign with the words “Orange Brother.” He fielded offers for corporate sponsorships: A local beer company and a mall in Shenzhen each paid him about $3,000 for his endorsement. He started to wonder how far he could take this Orange Brother thing. It might even help him get him out of debt. Soon after Stopera left, Li learned that a famous American talk show host wanted to interview them. He’d never heard of Ellen DeGeneres, but his translator explained that her show was popular in the U.S. and in China and that she had previously interviewed Jackie Chan. The Ellen show booked a plane ticket for Li; his nephew, who was now working as his manager, had to pay his own way. Despite Li’s crippling fear of flying, he braved the 12-hour flight. Stopera came to greet them at LAX. There was none of the same media coverage as in China. In the U.S., Li said, friendship between a Chinese person and an American is considered ordinary. Li had been nervous about going on Chinese TV, but American TV spooked him completely. In China, with his thick southern rural accent, he had trouble making his Mandarin understood, and he got flustered when directors told him to make more lively facial expressions. But in the U.S., the dialogue came so fast that he didn’t know what the translator was translating at any given moment, or whether a question was being addressed to him or Matt. When Ellen asked him why he had taken selfies with oranges, he had barely begun to answer—“We were celebrating the New Year, and I wanted to buy some oranges”—before she cut him off. “Oh, I see,” she said. “So you just thought you’d take about 30 photos of yourself.” The audience laughed. Li left the taping disappointed with himself. The U.S. was not as Li had expected. Most of his impressions had come from Chinese news outlets or Stallone movies: He thought of Americans as aggressive and arrogant. He was surprised to find that many of them were “warm and simple.” People welcomed him wherever he went, he said, whether it was employees at the Buzzfeed offices in L.A. and New York or Stopera’s family at their home outside Albany. (He was moved when Stopera’s parents told him he should call them “mom” and “dad.”) He had thought of the U.S. as a security-minded nation that enjoyed starting wars, so he was surprised to see only a few police officers or military personnel during his trip. He was struck by how clean everything was: the hotels, the restaurants, the airports. Everyone had a car and a house, whether they were rich or not. He disliked the food. It was too cold, he said, and too raw. He enjoyed the hamburger he got at In-N-Out Burger in L.A., but couldn’t get used to the region’s ubiquitous avocados. The pizza in New York City—the first he’d ever tasted—was revolting. It was a relief when they went to Chinatown and finally had a chance to eat some proper Cantonese food. The rice made him feel like he was home again. Li treats friends to dinner at his restaurant. After they visited the Buzzfeed offices in New York, Matt paused on the street and told Li he had something important he wanted to say. Li could tell that he was nervous. Stopera put his hand on Li’s shoulder and told him he was gay. “When I heard that, my heart sank,” Li said. Some friends had told him that Stopera might be homosexual, but Li didn’t believe it. If he was gay, Li figured, why did his phone have all those photos of him posing with attractive women? It didn’t make sense. Li did his best to react positively, nodding and saying it was no problem. Stopera was clearly moved. But in truth, it bothered Li. “I wish he would find a girl and marry her,” he said later. He didn’t like the idea of gay people marrying each other. “I don’t think it should be legal,” he said, in the U.S. or China or anywhere else. That didn’t stop him and Stopera from staying friends. But Li felt like true mutual understanding would be difficult. “You can’t say we really know each other,” Li said. “Because I don’t totally understand him, and he probably can’t totally understand me.” Part of the problem was the simple language gap. Gestures took them a long way, but anytime Li wanted to say something of substance, he had to turn to the translator and say it deliberately—there was no such thing as an offhand comment. It was also their personalities. Stopera was such an upbeat, positive, outgoing person that Li didn’t want to bring him down by talking about his problems, or his less camera-friendly attitudes and opinions. 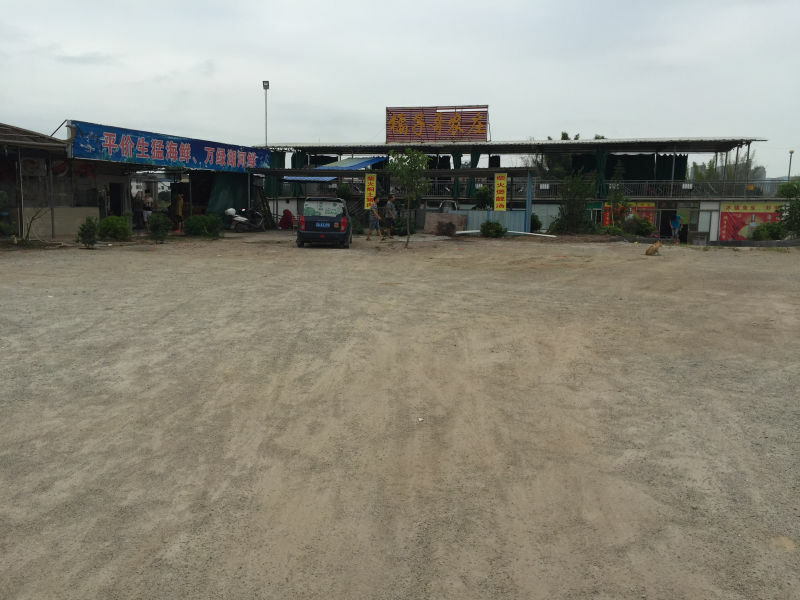 During my four days in Meizhou, I found myself wondering about Stopera’s connection with Li, and my own. Li and I did the things friends do: We ate almost every meal together, went to a soccer match (where strangers mistook me for Stopera), drank ourselves slurry at KTV, and visited a local hot spring. I chatted up his friends and horsed around with his kids. I couldn’t help thinking, was it different with Matt? Or had Matt interpreted the same basic (that is, excessive) kindness and hospitality as a basis for BFF status? I’ve been living in China for four years, and have spent a lot of that time trying to make local friends. It’s been fun, but maddening. Language gaps, culture gaps, education gaps, senses of humor—the obstacles to mutual understanding are endless. So when an American rolls into rural China and declares he’s met his soulmate, I’m naturally a little suspicious. How could Stopera do in a week what I’ve struggled to do for four years? I got a hint one night when Li took me out to KTV with some of his friends, all men in their 30s and 40s. We sank into the plush purple couches, and someone poured shots of beer. Li immediately cued up a half dozen Britney Spears songs and handed me the mic. It was like that scene in Annie Hall with the lobsters: Li was trying to recreate his time with Stopera. I fumbled my way through “Lucky,” but it was hopeless. Li seemed disappointed. I realized Stopera and Li had something we never would: a crazy, against-all-odds shared experience. Li and I could talk about things all day, but friendship isn’t just about talking. It even seemed possible that Stopera and Li had a strong bond because they couldn’t say more to each other, communication barriers enabling each to project onto the other whatever they wanted that person to be. On my last day, Li and I said a friendly but tearless goodbye at the airport, and I flew back to Beijing. 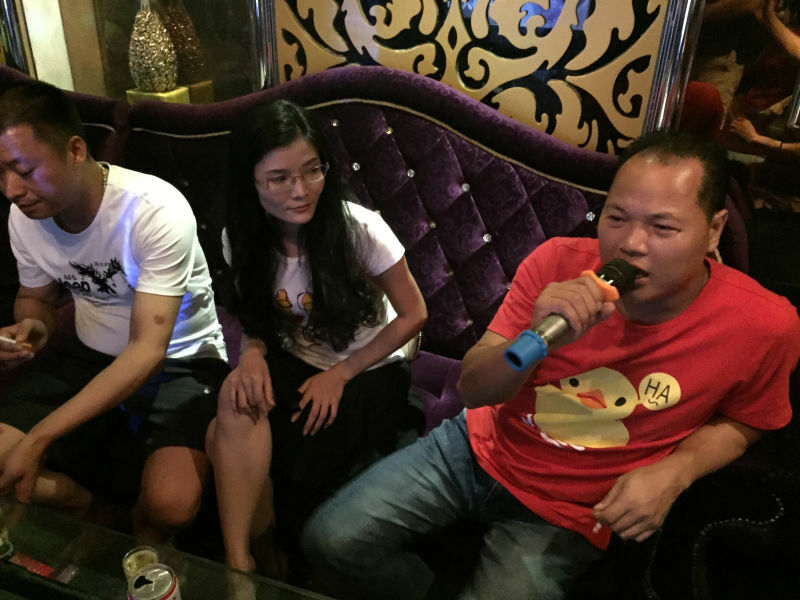 Li sings with friends at a karaoke parlor. After Stopera and Li parted ways, Li’s life returned to normal. He insists that the Orange Brother experience has not changed his situation. He still struggles day-to-day and worries about money. When we went to the soccer game, he pulled some strings to score tickets in the VIP section, but noted that he had more financial pressure than any of the people sitting around us. Earlier this month, local government officials visited his restaurant and told him the land has been designated for a new soccer stadium; he may be forced to relocate in the new year. He’ll push for fair compensation, he said, but he doesn’t expect much. “I’m so tired,” he told me recently by phone. His initial hopes that the Orange Brother story would pull him out of debt have not yet been realized. Li was approached by a movie producer offering him more than $15,000 for the rights to his story, but Li turned him down after Stopera suggested that they hold out for a better offer. He wants to start an online fruit-selling company, pegged to his “Orange Brother” brand, but the project has not yet materialized. To help save money, his nephew Li Jie left college and started working, first with his uncle and now at an e-commerce company in Shenzhen. After seeing the U.S. firsthand, Li Jie hopes to one day study there, but he worries that it won’t be financially feasible. Li told me he was grateful that the whole Orange Brother thing had happened. “It’s made me experience a lot, learn a lot, feel a lot,” he said. He considers himself an atheist, but agrees with Stopera that their meeting was fated. He has not read the BuzzFeed articles in full. He briefly considered telling his own account, but worried he couldn’t write well enough. He said he’s looking forward to the upcoming documentary about their friendship. When I asked him why their story had become so popular in China and the U.S., he said it was because, unlike so many stories out there, this one was real. 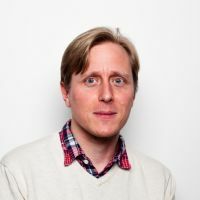 Christopher Beam is a writer in China. Photos by Christopher Beam. Top illustration by Jim Cooke, photo by Christopher Beam.